President Obama has expressed, on several occasions, his belief that the Constitution is a flawed document. He has also indicated a primary goal of his administration is to change the way things are done in America to match the principles on which he believes the nation was founded. Millions of Americans cheer his efforts, believing they will make their lives easier and more rewarding. Since more than sixty percent of Americans approve of his job performance after four months in office, pursuing his goal to remake America, it is important to understand just what the founding principles of our nation really are. We will not find a definition of those principles in the Constitution although we do find examples of them. At the same time, we find several places where the Constitution seems to contradict those principles. The Constitution is a political document. As such, it reflects compromises on issues that many of the framers did not agree on. The two most important were those between the federalists and the republicans and between the slave holding states and the anti-slave states. The founding documents of America are actually three distinct documents written at different times and for different purposes. They are The Declaration of Independence (1776), The Constitution (1787) and The Bill of Rights (1789). The Declaration of Independence, often referred to as the nation’s charter, was based on a republican philosophy and contains the founding principles for our form of government. The first principle is that a legitimate government receives its powers from the people. The second is that all men are created equal. The third principle is that of unalienable rights endowed by God, not granted by government. The fourth is that the only purpose of government is to protect those rights in a secure and stable civil society. During the Revolutionary War, a Federation of the thirteen states was formed to carry out the war and perform other functions of a national nature, under the Articles of Confederation. The Federation had no taxing powers, no means of regulating commerce between the states, and no mechanism for enforcing laws passed by the Congress. The Articles of Confederation proved inadequate as a blueprint for governance, and the states authorized a convention in 1787 for the purpose of amending the Articles to correct many of the defects. The Convention, meeting at Philadelphia, was dominated by Federalists who wanted a strong central government with the states in a subordinate relationship to the federal government, much like the relationship between counties and towns to state governments. The minority, known as the anti-federalists, was strongly opposed to the Constitution as written. Fearing it gave too much power to the central government, they demanded a Bill of Rights. Many of the Founding Fathers we revere today were on opposing sides in the debate. Federalists Alexander Hamilton, John Adams, and James Madison, among others, were strongly opposed to a Bill of Rights. Federalist No. 84 by Hamilton was written in opposition, arguing that adding a list of specific rights guaranteed by the Constitution was not only unnecessary but dangerous to the welfare of the union. Many of the strongest advocates for a Bill of Rights were not delegates to the Convention. 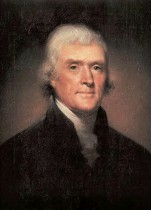 Thomas Jefferson was in France on a diplomatic mission during the debates and unable to contribute personally. However, in a letter to his friend James Madison he expressed a strong concern that the Constitution did not contain a bill of rights. Patrick Henry, another strong anti-federalist refused to attend the Convention and therefore did not take part in the debates. However, after the draft of the Constitution was presented to the states for ratification, Henry became one of the dominant leaders in the anti-federalist opposition along with Samuel Adams, and John Hancock of Boston. Failing in their efforts to get a Bill of Rights included in the Constitution the anti-federalists worked diligently in their state legislatures to secure assurances that a Bill of Rights would be added as amendments to the Constitution as a condition of ratification. In this, they succeeded. This ambiguous wording was drawn up by George Mason and presented by Benjamin Franklin as a way of encouraging delegates to sign the draft and maintain the impression of unanimity on their behalf. Notice, it is the Convention itself, not the signing of the Constitution that claims the “unanimous consent”. 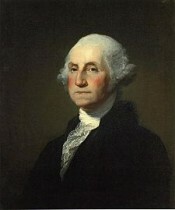 On the day of signing only 43 delegates representing twelve states were present, including George Washington, President of the Convention and William Jackson, Secretary. Three of the forty-three delegates that were present refused to sign; hardly a unanimous agreement. Five states ratified the Constitution shortly after it was presented to the states. However, it bogged down in Massachusetts. Only after Samuel Adams and John Hancock had negotiated “the Massachusetts Compromise”, did the Massachusetts Convention vote for ratification. The compromise, recommending amendments to be considered by the new Congress, should the Constitution go into effect allowed delegates to vote for ratification with the prospect of a Bill of Rights being added later. The Adams-Hancock compromise probably saved the Constitution from certain defeat. Other states followed their example in their ratifying conventions. Without the Bill of Rights, there would be no basis in law to protect our rights and restrict the powers of Congress. The Tenth Amendment is the cornerstone of our founding documents and the basis for the doctrine of “enumerated powers”. Even with the addition of the Bill of Rights, there were still contradictions between the principles found in the Declaration of Independence and the Constitution. These differences were not to be reconciled for another hundred years. Only after the Civil War at a cost of more than 500,000 lives in battle and the addition of Amendments 13, 14 and 15, was the principle that “all men are created equal” recognized in the Constitution. Today the Declaration and the Constitution, with its amendments, are in near perfect harmony. Unfortunately, from the beginning, the federal government has seemingly violated the letter and the spirit of the Constitution at will with little if any opposition from the people as a whole. For the past seventy-five years we have witnessed the wholesale violation of the Constitution by Congresses, courts and Presidents, none more so that our current President and Congress. When President Obama speaks of “perfecting” the Constitution or “remaking America” he is really talking about discarding the Constitution and tearing down all the traditions and customs that have made America great. The warning uttered by Benjamin Franklin at the close of the Philadelphia Convention has an ominous ring to it today. “Sir, I agree to this Constitution with all its faults, if they are such; because I think a general Government necessary for us, and there is no form of Government but what may be a blessing to the people if well administered, and believe farther that this is likely to be well administered for a course of years, and can only end in Despotism, as other forms have done before it, when the people shall become so corrupted as to need despotic Government, being incapable of any other. Have the American people been so corrupted by the allure of socialism as to be incapable of any form of government other than despotism, as Franklin suggested? The next few months and years will answer that question for many generations to come.